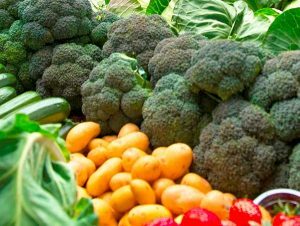 What makes the food grown in Cornwall special? Cornwall has a unique climate in the United Kingdom. With relatively warm, frost-free winters and early springs, Cornish farmers can produce crops from the fields all the year round. Plenty of rain means grass grows well and the dairy cows that graze the pasture produce milk that is rich and creamy. As well as being sold in liquid form, the milk is made into cream, butter and more than 50 different types of cheese. With growing season that extends almost right through the year, farmers can rear healthy sheep and beef cattle on a simple grass-based diet. 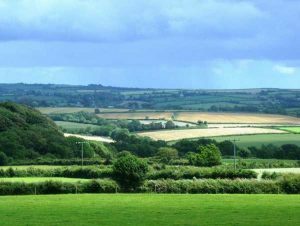 Cornwall’s varied landscape means farming to suit the land is important. There are areas of good deep soil in the east and far west which yield heavy crops of vegetables and cereals, and areas with thin soils that will only provide rough grazing for hardy breeds of sheep and cattle. In between there are sheltered valleys and exposed cliff tops, high moorland and gently rolling pasture, all within a narrow stretch of land less than a hundred miles long and almost completely surrounded by the sea. Farming has always been an important industry in Cornwall and the work of generations of farmers has helped shape the landscape as we see it today. Working with what Nature has given them, those farmers produce fantastic food: think of those delicious first new potatoes in spring or the luscious summer strawberries, ripened in the sun and the sea breezes, and topped off with some delicious Cornish clotted cream.